While the expression “man bites dog” wasn’t coined to describe public relations work, it might as well have been. In PR, it’s our experience that a simple twist on the expected is often the basis for juicy, media-appealing stories. We challenge ourselves daily to find the unusual in the humdrum or create the contrarian POV that will pique journalist curiosity. This week there happened to be a spate of stories that fit this model really well. To riff on baseball’s most delightful news, the Chicago Cubs’ victory after a 108-year drought, we like to boost our PR batting average by taking a look at some current coverage and some “golden oldies” to spur creative thinking. Bono named Woman of the Year. 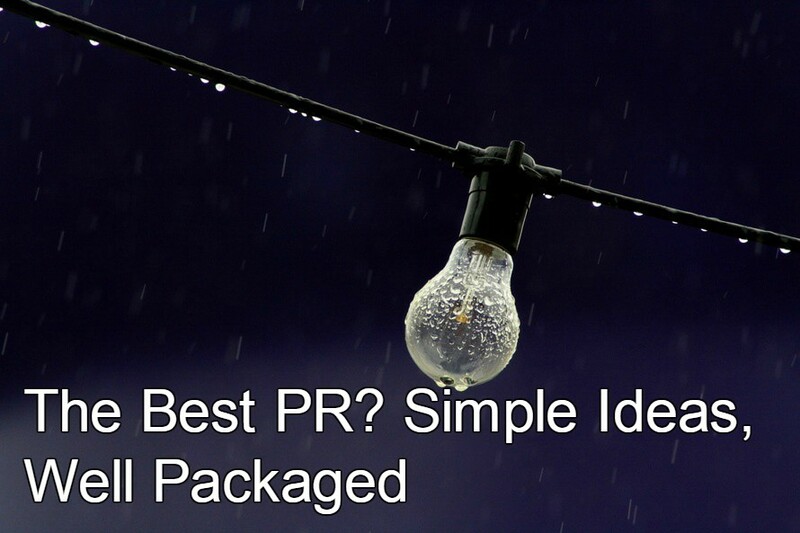 Creating an award program is a tried and true PR tactic for many organizations. Glamour Magazine has anointed “women of the year” since 2003 and receives reasonable media coverage for it, though mostly in their own magazine. But this year, Glamour named singer and activist Bono as its selection, creating a landslide of press. Most of the coverage has been positive, demonstrating the power of a simple, and in this case, provocative, idea. However, predictably there has been some criticism by those who think the award implies a bit of “mansplaining” about feminism, but something tells us Glamour isn’t too troubled by it – something about any PR is good PR? Butterball Help Line to answer texts. The poultry pundits at Butterball Turkey have been helping cooks in quandaries every Thanksgiving for 35 years. The activation of the hotline is a reliable news blurb every year, but this year the Turkey Talk line will accept texted questions. The simple (and frankly overdue) technical upgrade to the old-school cooking hotline made national news this week. What’s the recipe behind the success? It starts with the seasonal hook – Thanksgiving is one of the most widely covered holidays and Butterball is a stalwart in the turkey category – but the twist may be the apparent contradiction between the time-honored turkey tradition and digital technology popularized by millennials. That historic cocktail? Turns out it’s a fake. Debunking of a popular myth is often irresistible bait to reporters. Whether it’s the ongoing reports of where Jimmy Hoffa is buried, or any of these “Top 20 Hoaxes of all Time,” we love a good tall tale. This story isn’t quite so dramatic, but it does employ some of the same elements. To “gin up” business at a restored historic hotel in Louisville, bartender Adam Seeger claimed he had unearthed a Prohibition-era cocktail recipe in a secret passage in the hotel. Mixology media and others went nuts for the story, and the Seelbach Cocktail became a legend. This year, the barkeep came clean and admitted creating the recipe for PR purposes because he couldn’t believe the hotel bar didn’t have a namesake drink. For some, this would seem a risky strategy that could have easily backfired. But apparently the cocktail is so delicious that fans – and writers like Robert Simonson of The New York Times – have been willing to forgive. Waking up a national sentiment. Like Thanksgiving, the annual spring clock change always garners copious amounts of media coverage. As part of our work for Sleepy’s, the mattress retailer, we were tasked with finding new ways to use that timely story hook each year. One season we commissioned research which showed a number of Americans’ strong dislike for the yearly ritual. We decided to “harness the haters” with an online petition drafted to move the dreaded change to Friday night instead of Saturday to make for an easier adjustment. We worked with a sleep consultant to offer expert tips, and the movement caught fire online and in traditional media with items like this story from the front page of the USA Today Life section. America’s longest commute. Finally, there’s a story that always sticks with me for its simplicity and brilliant matching of a concept to a brand. Beginning in 2006, Midas Muffler launched a search for the individual with the longest work commute in America. That’s it. The entries remain fascinating because the treks are so arduous and the coverage is positive and plentiful. Best of all is the perfect fit between the idea and the company. Who isn’t thinking about how to keep their car running smoothly while contemplating a hundred-mile commute? Simple, yet genius.